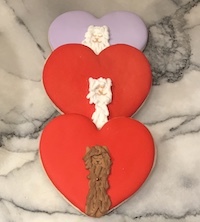 Looking for a special gift for your Valentines? 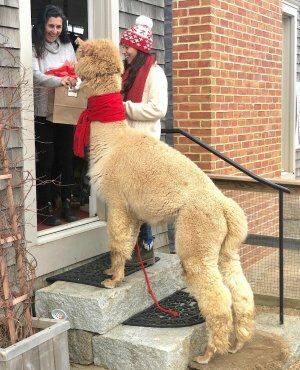 Well look no further...Imagine one of Island Alpaca's delightfully cute alpaca delivering your custom message and complimentary gift bag of our super-soft, warm and cozy alpaca goodies delivered to your loved one! Create a lasting memory! Make your reservations now for Valentines Day Alpaca-Grams! Whether it be a Happy Birthday greeting, a special Valentine message,"Get-well" greeting, graduation, anniversary, engagement or proposal, bachelor or bachelorette party, Mother's Day, Father's Day, Secret Santa or more simply just a friendly, furry Alpaca-Gram message with one of Island Alpacas friendliest of alpaca, the Alpaca-Gram will sure to be a memory of a lifetime! 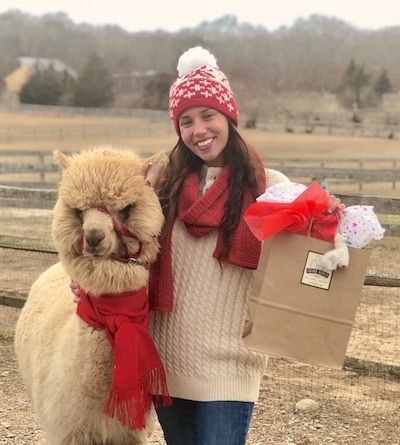 Island alpaca will visit your loved one with one alpaca and a happy-handler, anywhere on island, with your special message along with a festive gift bag. You choose the contents of of the gift bag, (up to $50 value of island alpaca goodies included, which can be added to, if you choose) Suggested Gift Bag Items: Small baby alpaca hand-felted alpaca, Camargo brushed alpaca scarf, Performance socks, alpaca boot-liners, alpaca hand-felted heart, gift certificate, alpaca cookie and complimentary admission cards. Visit our Gift Shop online HERE! 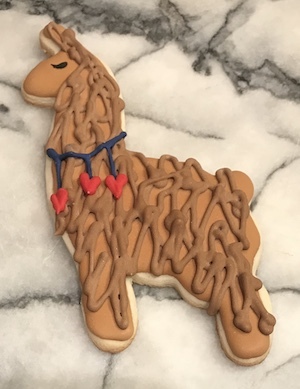 Alpaca-Grams are scheduled on a first-come, first-serve basis, and a 48 hour notice is strongly suggested to guarantee delivery of your message! For more information, or to reserve your alpaca-gram, visit www.alpaca-gram.com or by calling 508-423-1443. 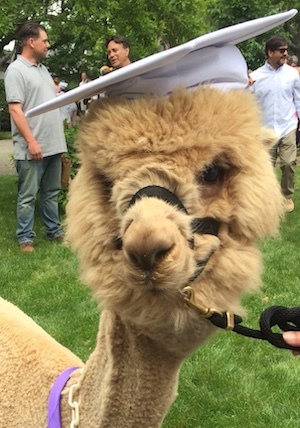 SPECIAL NOTE: Please email to us the name of person to whom the Alpaca-Gram is for, along with their telephone number, and your message that we will read to them. 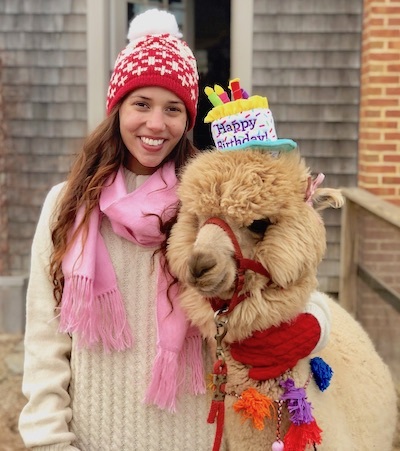 And your ideal day and time that you would like to send the Alpaca-Gram!